I was recently given this (#WT3000002). Long ago repainted, now needing refinishing. It is sound and of some merit. The original owner tells me it's a Gran Course model. I can't find anything on these. Does anyone have any info? It is in 531, and the W in the serial number indicates "Workshop", where all the higher end Raleighs in 531 and later 753 were built (according to Retro Raleighs). 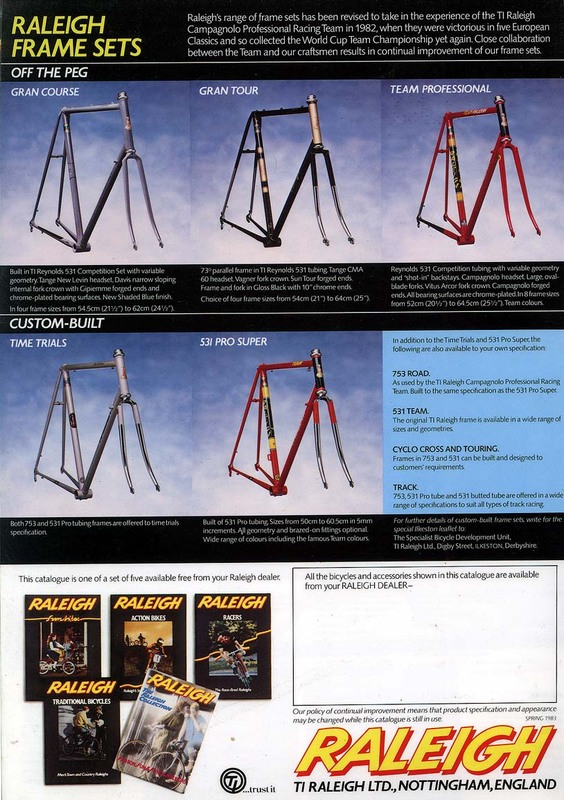 Were the double-butted throughout or just the main frame tubes, ofr example. The original owner doesn't remember. Gran Course appears to refer to the frameset, rather than a specific model. Beyond that, you'll need to get someone else to help out. sURE IT WASN'T A SUPER COURSE? W is not in fact Workshop; it is Worksop, a town in the north of England.